We take great pride in providing value through personal service, and our financial technology is an extension of that. 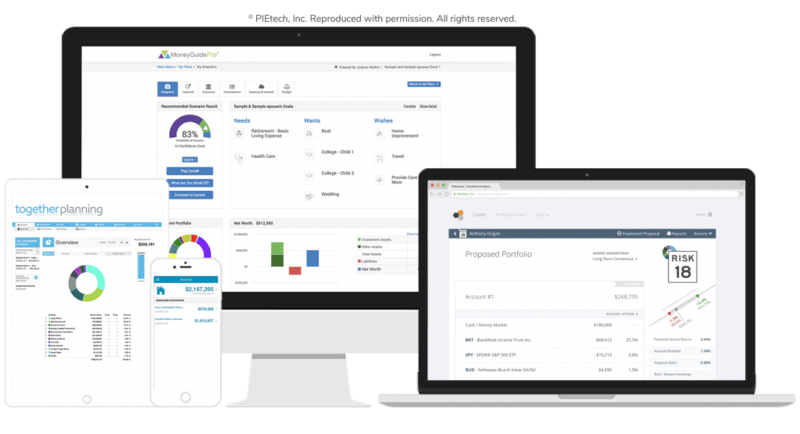 Our personalized client portal and always-accessible financial plan allows you to see everything related to your financial journey in one convenient place. With our financial technology, you have 24/7 access to cutting-edge programs and online tools that can help make your financial life easier, faster, and more secure. See how changing market conditions could affect your future.